Feiglin: Never before has a party been established in Israel that respects the citizen and his intelligence. 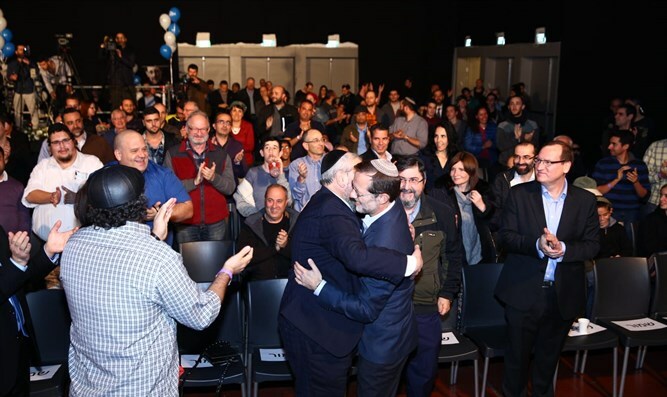 Moshe Feiglin’s Zehut party on Wednesday evening launched its election campaign at an event held at the Tel Aviv Fairgrounds and attended by Zehut candidates and party supporters. "From here, Israel is embarking this evening on a new road. We are taking the amazing energy from here to every corner of Israel. We cannot waste another generation on leadership without a purpose," Feiglin stressed. Feiglin was followed by the three candidates who were ranked in the top three spots on Zehut’s Knesset list. "And here comes someone crazy enough not to play the game and pay a price for it. Feiglin could have been one of Netanyahu's yes men today, with a good job and a handsome salary, but yet this crazy man would rather tell his truth and go with it all the way,” added Wilcherski.